A special pack with three shade sails! A special pack with three sails! 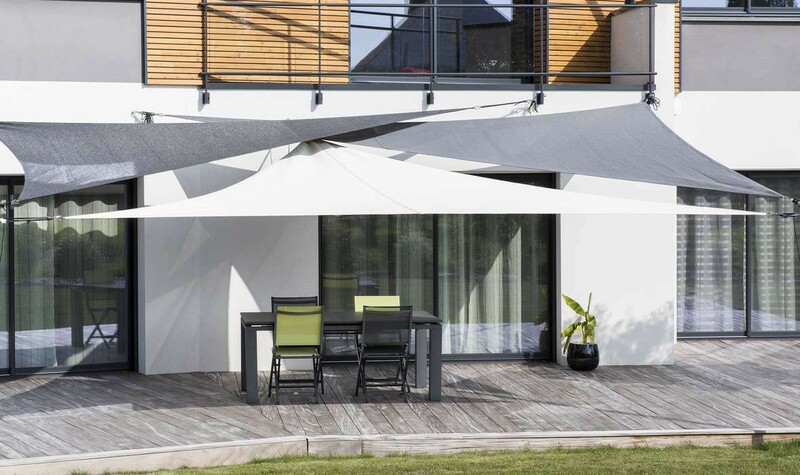 Espace Ombrage has available this three triangular shade sail pack that will allow you to cover your large patio. It also contains the entire shade sail fixture that you will need depending on the space layout. 1 032,39 € tax excl. A special pack with 3 shade sails + the installation accessories, for a design and functional installation. Pair different colors and create your custom ambiance with this 3 Australe 340 solar canvases pack. The Australe 340 canvas has colors that resist well to light , guaranteed 5 years. 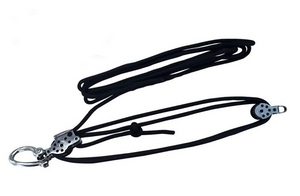 High quality nautical fixtures , with stainless steel pulleys and nautical rope, giving a marine aspect to the shade sails that is visually appealing and additional ease of installation and disassembly . 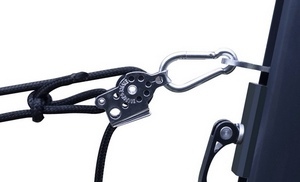 ... and additional accessories such as the adjustable pole spot or the the shade sail storage bag . The 3 shade sails (delivered with 1 stainless steel snap hook at each angle for a fast installation/disassembly). *** In the case of and installation of wall fixtures on wood, the pegs and threaded rods will be replaced by stainless steel u-shaped fixtures and screws. 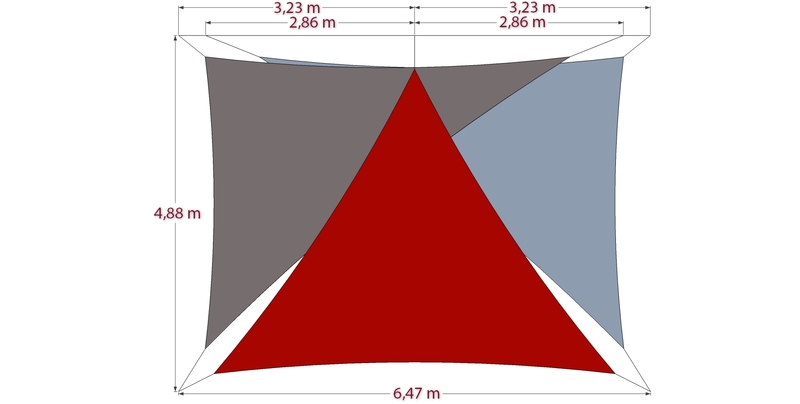 This diagram gives an estimate of the minimum required space for the installation of the different fixture points of the 3 triangular shade sails pack.